Spent the evening at my daughter's house getting the turkey and stuffing ready to go for tomorrow. Brought this over with me and cracked it open. Seems a bit more "finished" than previous releases with a heavier wine note. Nice, spicy rye tingle on the finish. Back up the truck at that price! Ok, where the heck are you? I’ll bet somewhere the price for Rittenhouse got put in by mistake. Yeah...enquiring minds want to know! Picked up a couple of Jack Daniel's Rye earlier. It's not brilliant but for the price here (£25) it's a decent enough substitute for Dickel Rye (which is £60). Opened a HWRR, very nice. Picked up a Knob Creek Rye pick today. Look forward to cracking it later. That price on the Dickel Rye sounds crazy. Here it costs $21 - $25 USD. JD Rye is around the same price. JD Rye is a different mash bill from a different distillery in a different state. If you like Dickel Rye, Bulleit Rye comes from the same source - MGP Lawrenceburg, Indiana. Had a sample of Redemption 10 Year 116p rye provided by a fellow SBr. Heavy MGP dill and tasted young for 10 years. A little time in the glass and a drop of water it got a bit sweeter and a few of those older notes came through. Followed it up with a little Baby Saz which was much brighter and floral. One was very in your face, and the other was very subtle. I'm sure the proof has a lot to do with it but not the only defining characteristic. 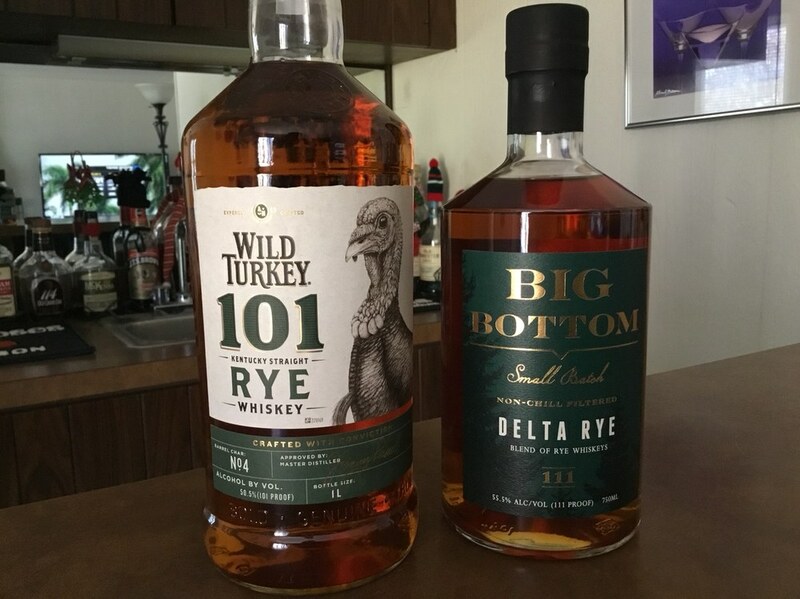 My Rye buys from yesterday. Glad to see the 101 back on the shelves here. The Big Bottom I know absolutely nothing about and took a flyer because it was in the clearance rack. 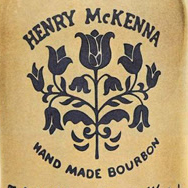 NCF 111 proof for $25 I figured how bad can it be for that price? First bottle I’ve bought totally blind in a loooong time. Was able to get a THH yesterday. Likely my only BTAC of the year. I was talking to one of the BK Manager's they said they were adding BTAC into the VW raffles, not sure if you bother with those but I believe they are pulling names tomorrow. Dug a bit deeper into a SAOS rye that I opened several months back. This is my first and only SAOS rye and having read the many dill references over the years I had a preconception about what this should be like but about 1/3 of the way in it has yet to manifest. The flavor profile has been consistent and unique in a way that I enjoy but its a mood pour. I always come away with having enjoyed distinct rye bread and jalapeno notes, I've searched for dill but if its there its not what jumps out at me. If I was to ever find a loaf of jalapeno rye bread this is the liquid form of what I imagine that should taste like, and since I love both rye bread and jalapenos, its a winner!! Stumbled on a 2018 Michter’s 10YO Rye for $118. Looking forward to cracking this one! Did a SBS of Willett 3 year and 4 year rye. The 3Y had a bit of young graininess that gave a rougher, more bitter finish on the back of the tongue. The 4Y had a thicker mouth feel, lacked that grainy finish, and added a tad bit of chocolate. 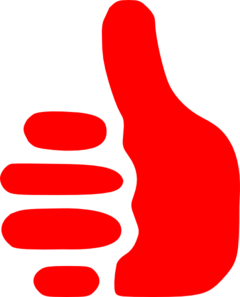 It was similar but a step up. I then mixed it with some Big O Ginger liqueur, Hebsaint, and some bitters for a really great quasi-sazerac cocktail. Taking a break from...doing nothing, and taking advantage of a break from this incessant rain here Down South, to have a cigar and s bit of rye out back. (A 30 second ray of sun even popped out!!). 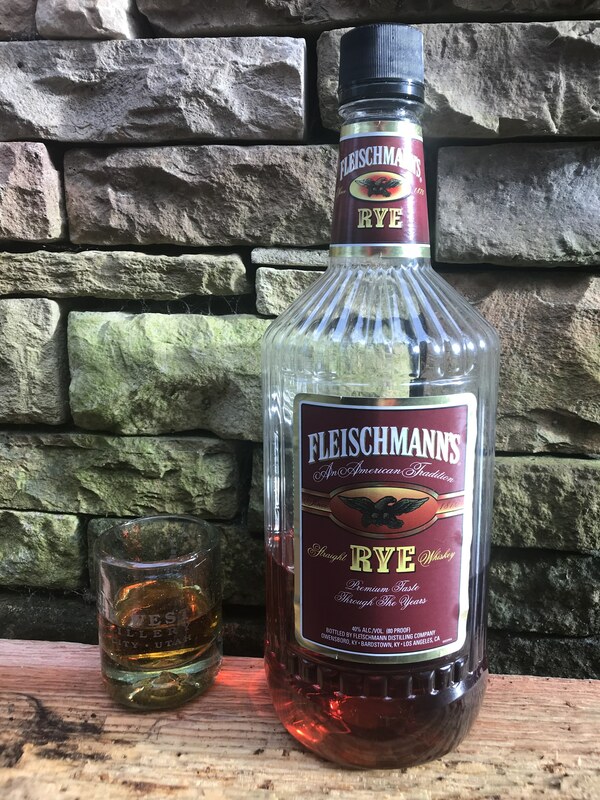 My earlier musings of a 1792/Barton BTAC rye got me a hankerin’ for some Fleischmann’s Rye. 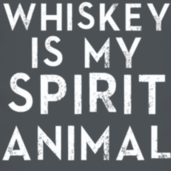 Spirity, even at 80 proof. In the wide rye whiskey spectrum of flavors, this is planted solidly in the fresh cut grass and early spring green area over the palate, while the finish is full of what reminds me of the old Beechman’s chewing gum. Having some more Willett 4 year 107 proof rye. Would buy again and again and cant wait for the 5 year. One of the local breweries bought a single barrel of WP rye, and then aged a vanilla bean stout in the barrel. 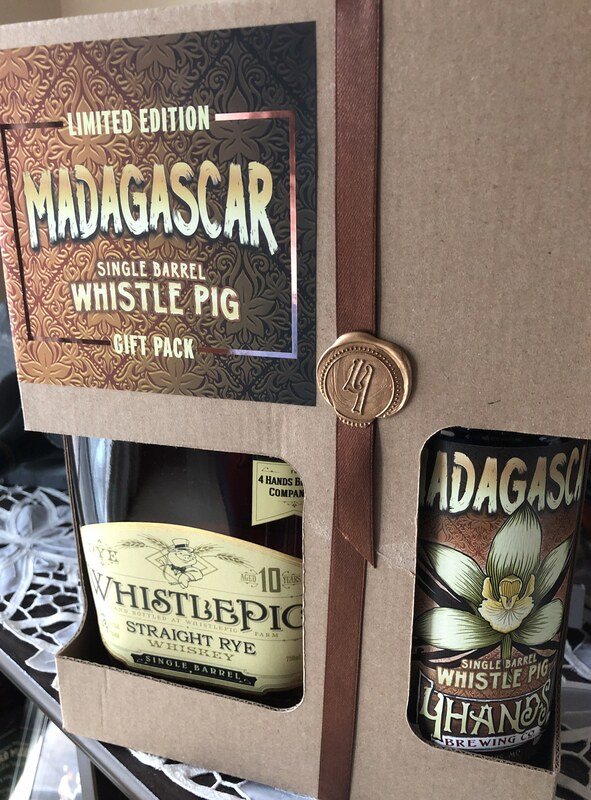 Today they released these gift packs with a bottle of each included. Tried a pour of the beer on draft, and it’s darn tasty!